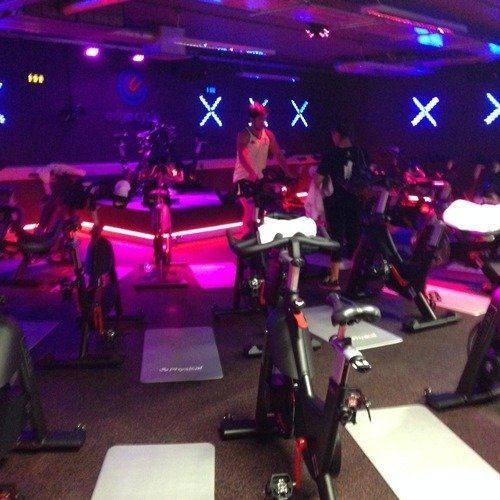 I’ve been neglecting my resolution to try out new classes every 2 weeks so when I was given the opportunity to try out a new spin studio in London I jumped at the chance. 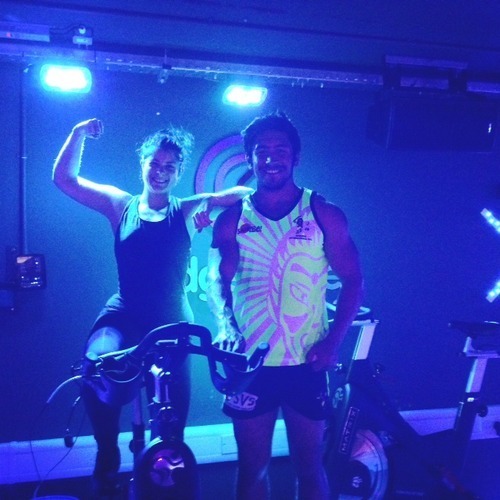 It’s aim is to offer a combination of indoor cycling and bootcamp-style group workouts, which it does from its beautiful brand new studio in Holborn. 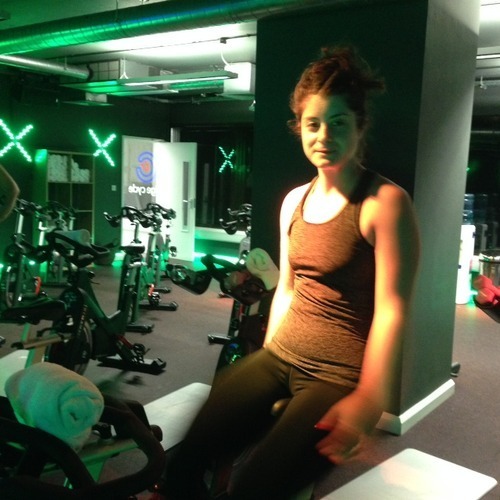 I signed up for a 07:30 class, which felt VERY early when I met my friend Kate of Form Fitness at 07:00 in London Fields. 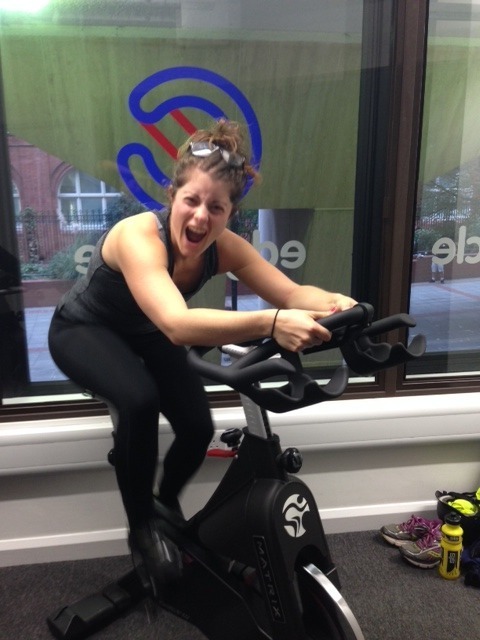 After a swift cycle over to Holborn we arrived at Edge Cycle and signed in. I put on my first ever pair of cleats and jumped onto the practice bike in reception to get used to clicking in and out of the pedals. We went into the studio and were called to the front row by the instructor, Jono, via the weights rack where we picked up sets of 3kgs. They felt pretty heavy and we hadn’t even started anything yet! The bikes were lovely and new with a fresh towel sitting on the handlebars. We took to our saddles and started warming up. Just as I thought I was going to have to slow down we jumped off the bikes onto the mats and went through a set of squats, lunges, planks, press ups and crunches. Whilst I love all of this stuff I found it very difficult in the cleats, especially the lunges and jump squats, so next time I’d probably stick with my trainers. We then climbed back on the backs for a last sprint, last hill climb and some conditioning work on the bikes. Then, before I knew it, we were cooling down. I would have preferred a bit more encouragement as we went through the class as I felt a bit isolated, especially when I was struggling, but Jono was confident and kept me guessing as to what was coming next. It meant that just as it was becoming too difficult we switched to something else and it became manageable again. I also would have liked a few more sprints as that’s when I get into the zone. I was absolutely dripping in sweat after the 45 minute class but I was totally buzzing and that buzz has lasted all day! The showers, while small and rather public (no shyness allowed! ), were clean with lovely toiletries and hairdryers. They even have hairbands in the Edge Cycle colours on the front desk if you’ve forgotten yours which is a great touch. 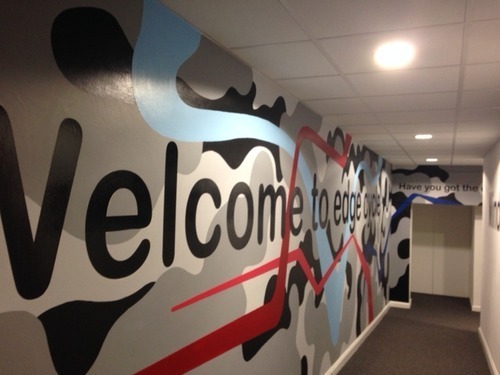 Thanks to Sophie @ Be Pretty Fit and Entice Communications for the opportunity to review Edge Cycle!